Located minutes from campus, Simple Gifts Farm is committed to animal welfare, organic, sustainable farming, and the increasing use of green energy. They farm for North Amherst Community Farm (NACF), which is community-owned land preserved in perpetuity for farming. Simple Gifts Farm run as an ecological unit, integrating vegetable crops and livestock, and connecting our members with their food supply. 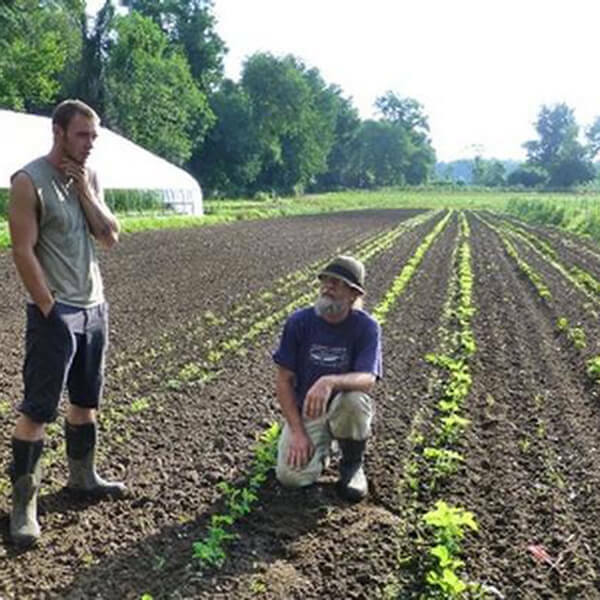 Dedicated to the Amherst community, they also train the next generation of organic farmers through an apprenticeship program. In addition to reducing fossil fuel consumption by selling produce and meat locally, they constantly work toward reducing the carbon footprint of the farm. 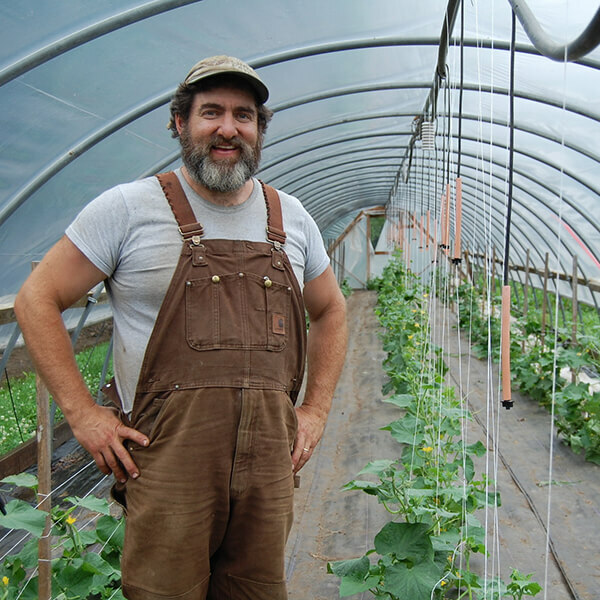 In 2007, Simple Gifts installed a zero-fossil-fuels greenhouse to grow transplants and extend the season of many crops. It is heated by a boiler burning wood pellets, and by a solar hot-water system. In 2010, they installed a 9.8 kW photovoltaic array that produces much of the electricity needed to power their walk-in cooler and irrigation pump. They also have a team of oxen who are fueled by grass or hay rather than fossil fuels. Dave and Jeremy’s families live in side-by-side houses and are so close that the kids from both eat in whichever kitchen is currently serving the food they like best, which of course includes wholesome, home-grown meat and veggies.